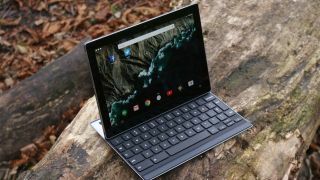 Google has just released the Pixel C, the first slate designed and built by the company itself, and we're calling it the best Android tablet on the market right now. However, it's not without issues. Some of those shortcomings lie within Android's software, and the lack of multitasking support within the Android 6.0 Marshmallow software is seen as a drawback by some users. However, that's soon to change. During a Reddit AMA on the Pixel C, Glen Murphy, director of Android and Chrome UX, confirmed that split-screen multitasking support is incoming. "We're working hard on a range of enhancements for Android in this form factor," he said. "There are many things, like multi-window, that we've been spending a lot of time on. Hopefully we can share more about this soon." Don't expect this to be a simple overnight update – it won't be coming until Android 7.0 releases, and we wouldn't expect that until late next year. Consumer hardware director at Google, Andrew Bowers, added: "We're working on lots of things right now for N that, of course, we wish we had, you know, yesterday. But we'd spoil the surprise of N if we shared all of them. Split screen is in the works!" Apple added multitasking functionality to iOS 9 this year for its iPads, and we've seen similar functionality in Windows for a few years now. Google is playing catch-up here, but other Android hardware manufacturers have jumped in before and made their own version of the multitasking system. Samsung has had its own version for quite some time now, but there's a lack of support from apps across the board. Android N is likely to launch late next year, but it's currently unclear what it'll include. We wouldn't expect a major redesign after the look change on Android 5.0 Lollipop last year, but it's likely to include a variety of new big features designed to make Google's software even more useful.